Want to know more about the Ancient Egyptians? 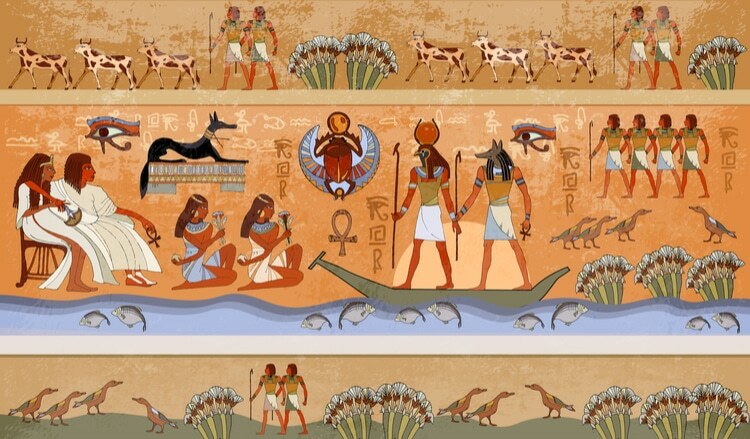 Here are 25 Interesting Facts about Ancient Egypt that you probably didn’t know! In fact, more than 1000 gods and goddesses were worshipped by the Ancient Egyptians. Ra, Osiris, Isis, Set, Horus, and Anubis are some of the most famous Egyptian gods. 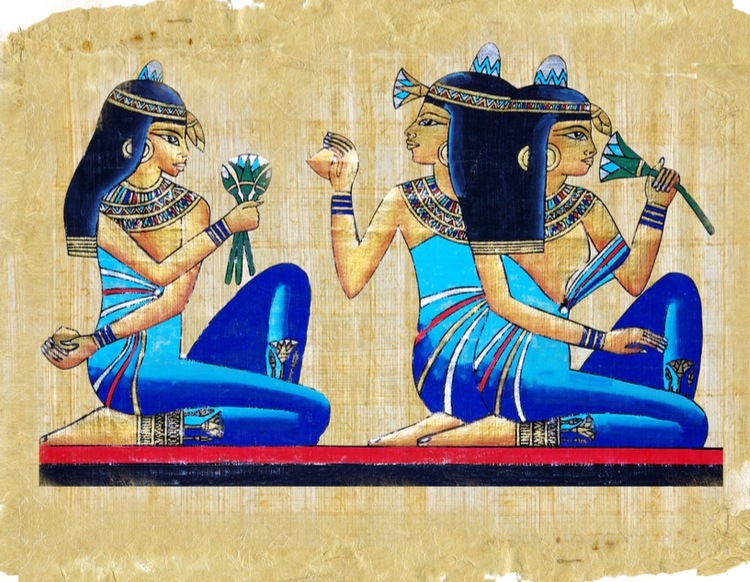 This wasn’t unique to the Ancient Egyptians, in fact, many civilizations have had traditions of marrying relatives in order to keep the bloodline intact. It was believed that the Pharaohs were mediators between the gods and the regular world. Egyptians also believed that the god Osiris married his sister Isis to keep their bloodline pure. It was believed that the soul traveled on to the afterlife. Ancient Egyptians believed in the underworld as well as eternal life and rebirth of the soul. Many rituals had to be made in order for the person to get a successful afterlife, and that’s why they buried important things as well as servants with the Pharaos. 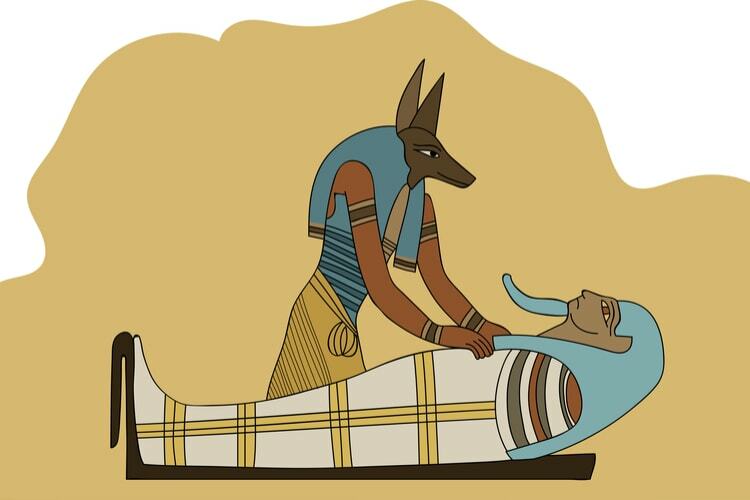 Mummification was performed because they thought that the body needed to be preserved to let the dead become reborn in the afterlife. 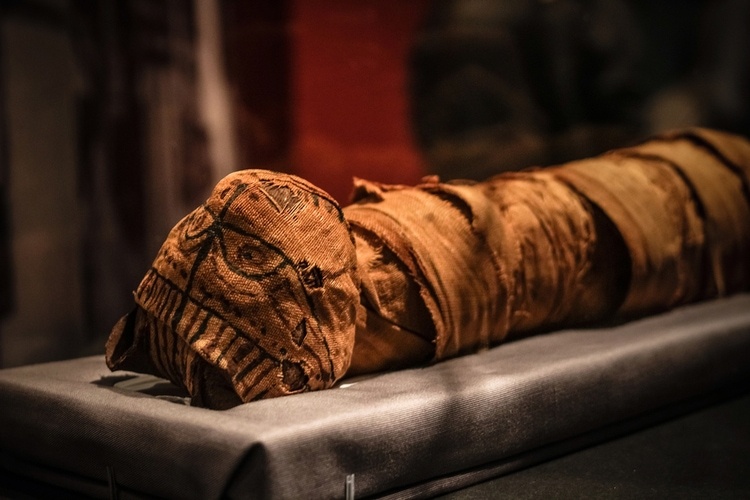 Most regular people weren’t mummified since the mummification process was long and performed by embalmers, which were often also priests. But there are some exceptions when servants were buried next to the Pharaos. However, unless you were a royal or some other high-ranking person, it is likely that you would’ve been just buried in a shallow grave in the desert together with your belongings. 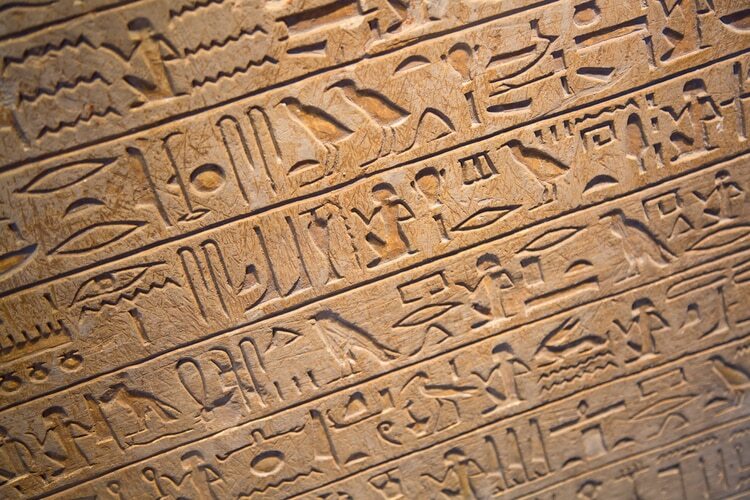 Writing hieroglyphs were likely to be time-consuming and thus reserved for more important texts and spells. Most hieroglyphs are found within pyramids, temples or other important buildings. The oldest dress ever found dates back to more than 5000 years ago. It is known as the Tarkhan dress and was made of linen. Tutankhamun was far from the most famous or successful pharaohs of the Ancient Egyptian civilization. He was only a boy when he became a pharao, yet he has become famous all over the world and an Egyptian icon. 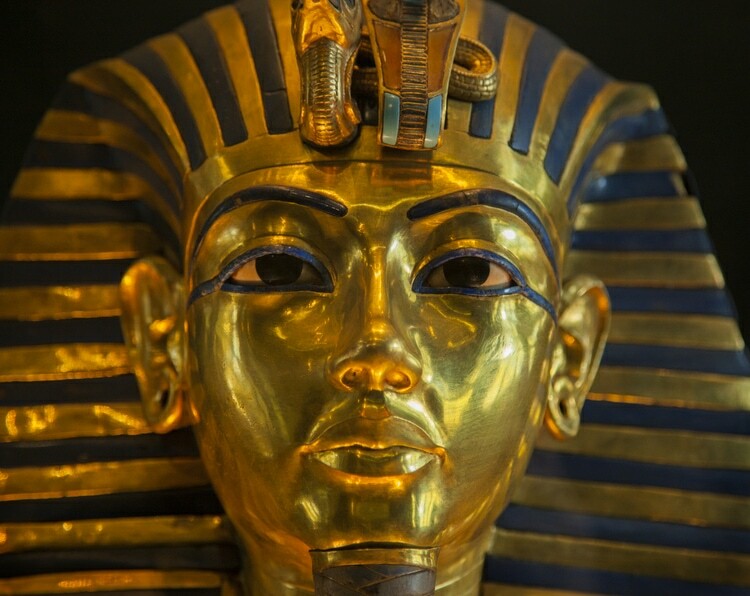 The reason for this is because his grave was found intact, and many other notable Pharaos had their graves looted. Contrary to popular belief, the pyramids were built by hired workers who received payment in various forms. It was believed an honor to build the pyramids to the pharaohs, and they worked in shifts for a few months before a new set of workers came. But of course, building pyramids weren’t an easy task, and the builders that excavators have found all showed signs of having lived a rather hard-working life. They even have a goddess of beer, known as Tjenenet. 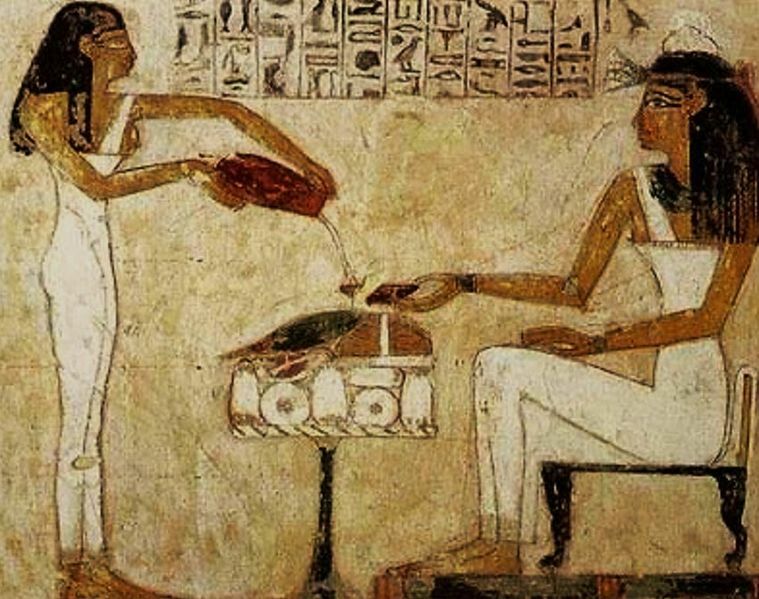 Beer was an important part of the society in Ancient Egypt, and it was drunk both by adults and children. Wages were even offered in beer in some cases, and workers received a ration of beer on a daily basis. However, it was not as intoxicating as modern beer, but instead, it was more nutritious, thick and sweet. However, there is also evidence that Ancient Egyptian beer could be intoxicating as well. While makeup today is mostly associated with women, it wasn’t like that in Ancient Egypt. 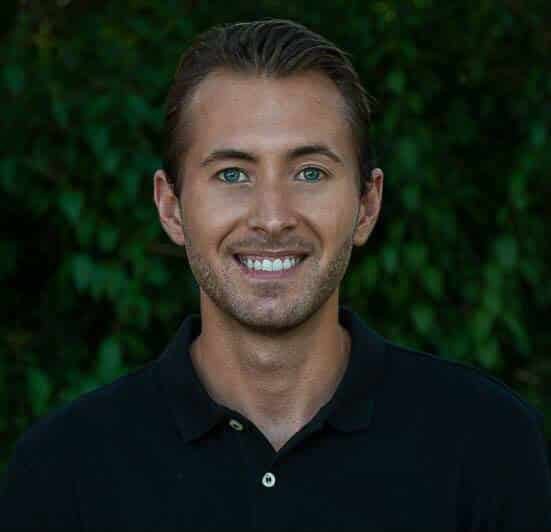 Here, both men and women used makeup on a regular basis. This is definitely one of the most interesting facts about Ancient Egypt. They discovered a technique of cooling a place and keeping the temperature at a constant level, more or less as we do with modern airconditioners. 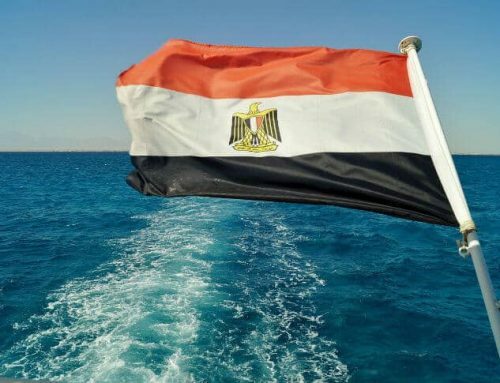 The climate in Egypt is hot and sunny year round. But even though the temperature outside might reach more than 40 degrees Celsius in the summer, the Great Pyramids still have an inside temperature of 20 degrees Celsius. This ancient Egyptian symbol is still being used today and it was a symbol of protection, royal power, and good health. Horus was the sky god and was usually depicted with a falcon head. Women could own property and were equal to men. However, it was still a society dominated by men. There are only a few examples of women who became pharaoh or had high ranking positions in the society. But there are some fine exceptions such as Hatshepsut, Cleopatra, and Nitocris. Another example of famous Egyptian wives to pharaohs are Nefertiti (Amenhotep IV) and Nefertari (Ramses II). 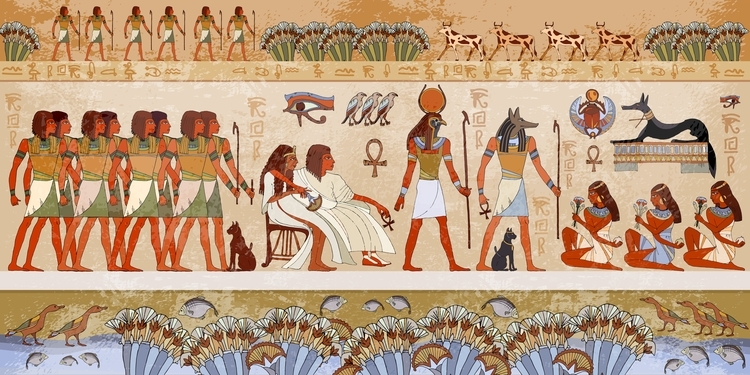 When you see Egyptian art it commonly depicts the Ancient Egyptians as athletic and slim. But historians believe that many Egyptian rulers and Ancient Egyptians, in general, lived a rather unhealthy life and that most were obese. The diet of beer, wine, honey, and bread was not something we would consider healthy today as they are all high in sugar. Recent examinations indicate that many suffered from diabetes and were overweight. Queen Hatshepsut is perhaps the most notable example and historians believe that she was obese rather than the slim version that her sarcophagus shows. Of all the civilizations in human history, Ancient Egypt might just be the most successful and long-lasting. However, it wasn’t without problems and it was actually conquered at times, but it is still considered to have lasted for more than 3000 years. Some of the accomplishments made are truly remarkable, and they had a deep understanding of the world around them as well as the universe. The peak of its power and influence is believed to have been in the period of the New Kingdom. 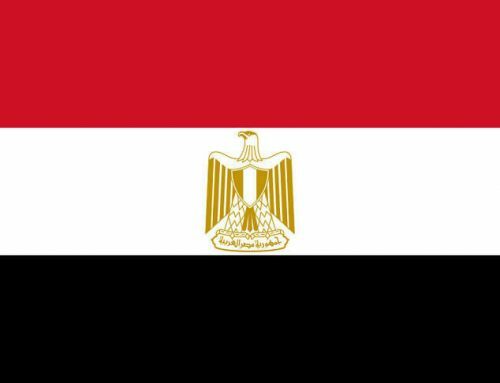 The Egyptian dynasties are traditionally divided into 32 Pharaonic dynasties, and the first dynasty marks the beginning of a unified Egypt. The exact year is not known, but historians place the event between 3218 – 3035 BC. 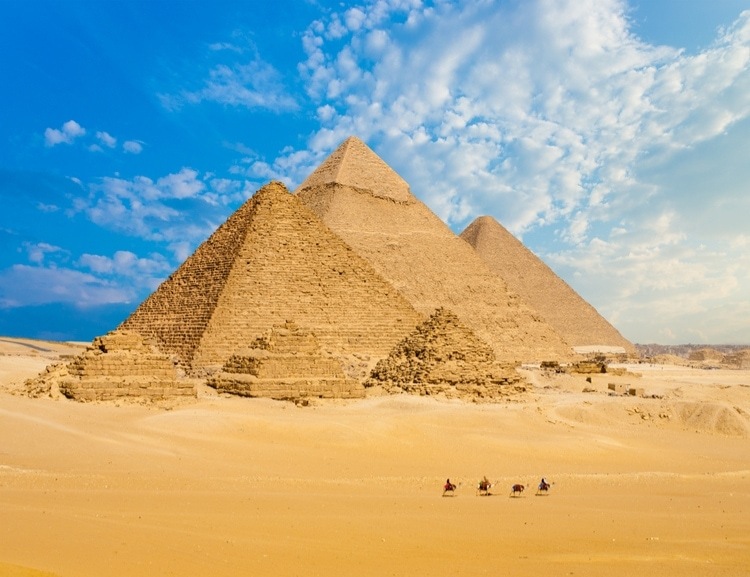 Some of the major achievements are quarrying, surveying and construction techniques that enabled the building of pyramids, temples, and obelisks as well as a system of mathematics and a practical and effective system of medicine. It was a highly advanced civilization and they were also talented seafarers and farmers. Their agricultural techniques are believed to have played a vital role in their long-lasting success. These are just some of the many interesting facts about Ancient Egypt! The Egyptians had many symbols that were frequently used. 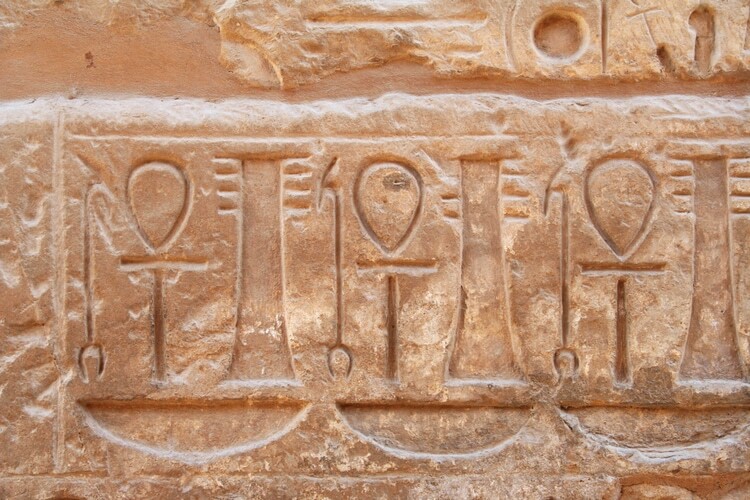 But these are some of the most famous Ancient Egyptian symbols that can be seen in many places. 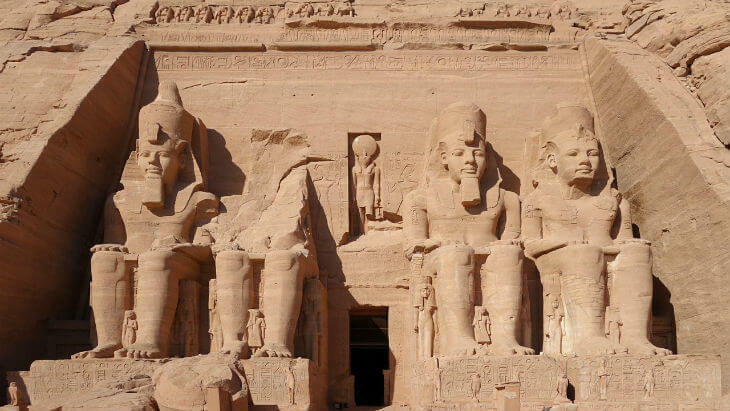 How many of these Ancient Egypt facts did you know? Leave a comment below! Hello! I’m Alex Waltner — A Swedish Travel Blogger & Photographer. 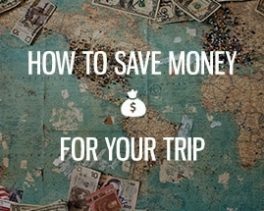 My vision with this blog is to inspire people to travel more and better by sharing useful travel guides and tips from my adventures around the world. I’m currently on a mission to show you the amazing places and diversity that our planet has to offer! 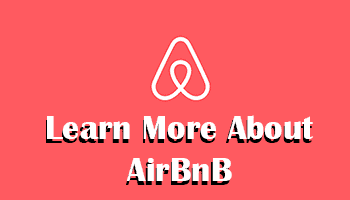 Register via this link and get €31 discount on your first booking.